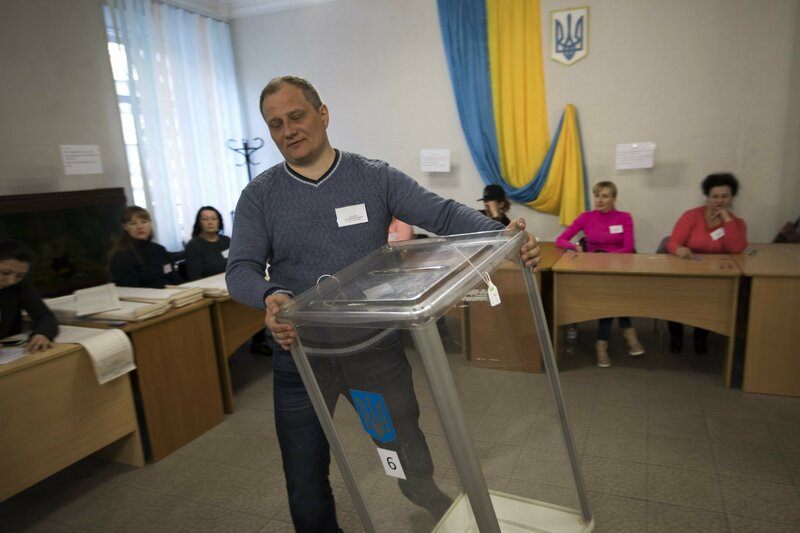 KIEV, Ukraine — Ukrainians are casting ballots in Sunday’s presidential election that follows a campaign marred by vicious political infighting and allegations of bribing of voters. The 42-million nation will choose from among 39 candidates it hopes can guide the country out of troubles including endemic corruption, a seemingly intractable conflict with Russia-backed separatists in the country’s east and a struggling economy. If none of the candidates gets an absolute majority of the vote, a runoff between the top two will be held on April 21. Concern about the election’s fairness spiked this week after the interior minister said his department was “showered” by hundreds of claims that campaigners for Poroshenko and Tymoshenko were offering money in exchange for votes for their candidates. Poroshenko, a confectionary tycoon whose popularity has sunk amid Ukraine’s economic woes and a sharp plunge in living standards, has been accused of turning a blind eye on corruption. Ultra-right activists have shadowed him throughout the campaign, demanding the jailing of Poroshenko’s associates who are accused of involvement in a military embezzlement scheme. Like his famous character, a schoolteacher who becomes president after a video of him denouncing corruption goes viral, Zelenskiy has focused strongly on corruption, proposing a lifetime ban on holding public office for anyone convicted of graft. He also called for direct negotiation with Russia on ending the conflict in eastern Ukraine. Tymoshenko has played heavily to the economic distress of millions of Ukrainians, denouncing the price hikes introduced by Poroshenko as “economic genocide” and promising to reduce prices for household gas by 50 percent within a month of taking office. The incumbent shot back at his rivals, describing them as puppets of self-exiled billionaire businessman Ihor Kolomoyskyi, who lives in Israel. Zelenskiy and Tymoshenko have rejected those claims. Many political observers have described Ukraine’s election campaign as a battle between Kolomoyskyi and Poroshenko, who was on Forbes Magazine’s list of billionaires with a net worth of $1.3 billion in 2014 before dropping off the following year. Both the president and Kolomoyskyi have relied on an arsenal of media outlets under their control to exchange blows. Just days before the vote, Kolomoyskyi’s TV channel aired a new season of the “Servant of the People” TV series starring Zelenskiy as Ukraine’s leader.